The Dehler 25 is a cabin cruiser with good interior roominess, ideal for cruising along the coast, built by German shipyard on design by Van de Stadt ... simple to conduct, is a complete boat facilities, which has volumes contained, bow end, Stern flat and good features. 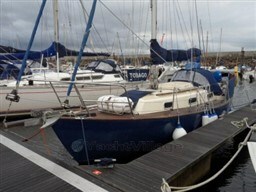 Dear Sirs, I have seen on YachtVillage your offer about Dehler Dehler 25 - 2005 (code: 495684). I am interested in the offer and would like you to contact me. Thank you. 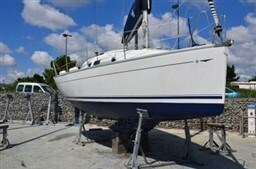 If you would like to find out more about this boat and any other boats of this type and range, Digibusiness Srl,the Company that manages YachtVillage, and Mulazzani Trading Company, the Company that exhibits the Boat, must necessarily acquire some simple details about you (name, surname, email address and, if needed, your telephone number). These details will be processed according to the purposes and means of the processing indicated in the privacy statement under the PRIVACY Section of this website, referred to herein.